I went into Fantastic Beasts cautiously excited and more than a little skeptical. I love the Harry Potter world and series (both the movies and the books) and I was prepared to be disappointed by a completely different story line, time period, and cast of characters. Instead, I was utterly charmed and blown away by this spin-off tale that feels almost like Harry Potter for grown-ups, while retaining the playfulness and wonder of magic that characterized the first series. 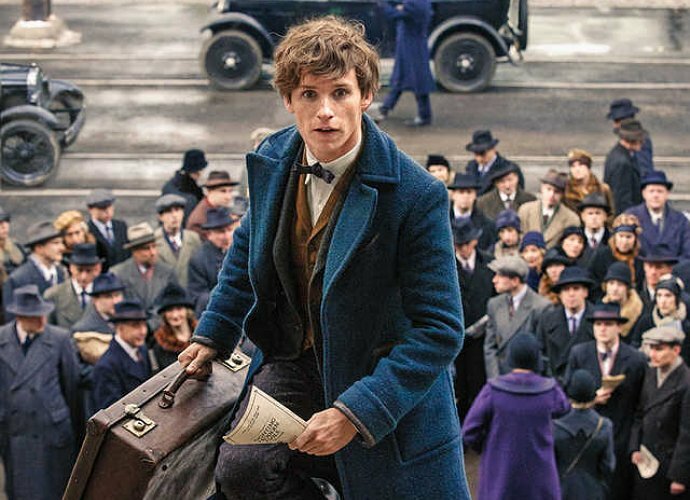 It’s 1926, and magizoologist Newt Scamander (Eddie Radmayne) has just completed a world tour to find and document a vast array of magical creatures for his book. He makes a quick stop-over in New York, which quickly goes awry thanks to a No-Maj (Muggle) named Jacob, a misplaced magical suitcase, and the escape of several fantastic beasts from his traveling menagerie onto the streets of New York. The incident couldn’t have happened at a worse time, with tensions and suspicions between No-Majs and the magical community at an all-time high, thanks to the shenanigans of a mysterious and powerful dark wizard, Grindelwald (played by Johnny Depp), who is mentioned in the Harry Potter series. 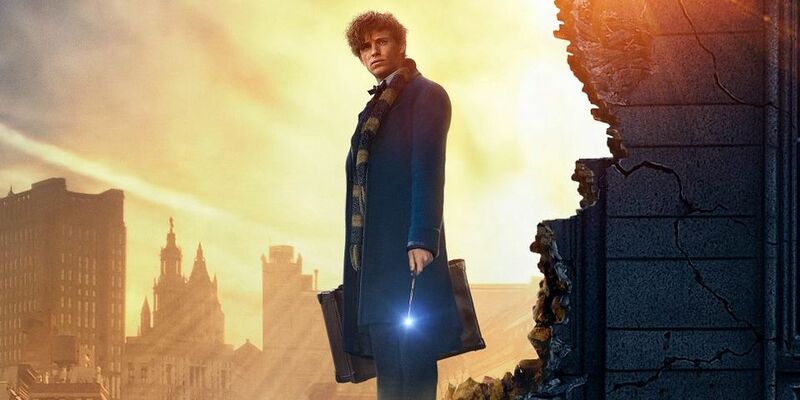 Newt Scamander, the quirky Hufflepuff magizoologist responsible for caring for (not to mention finding) said fantastic beasts, absolutely steals the show with his kindness, passion for his creatures, off-beat sense of humor and the brand of adorable awkwardness the British do so very well (think the 11th doctor). 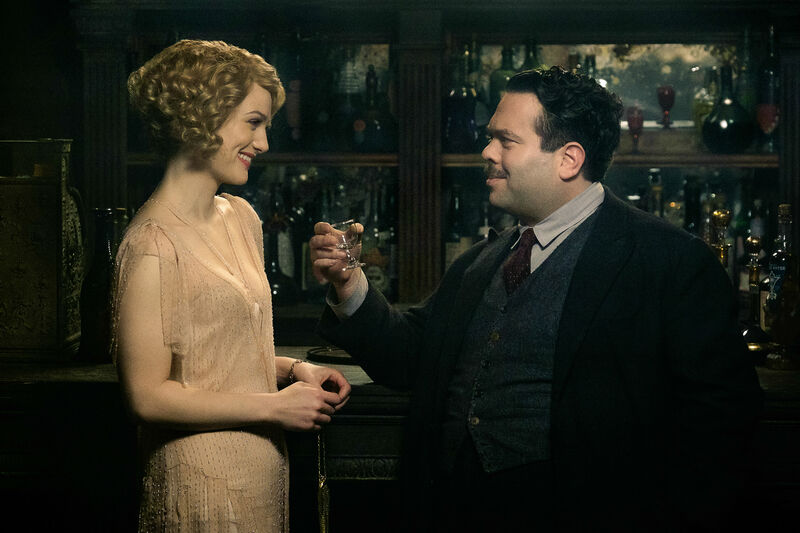 He’s joined by an eclectic and fascinating supporting cast of social misfits, including a portly No-Maj, Jacob, who just wanted to start a bakery; Tina, a former auror and eventual love interest who arrests Newt hoping to get back in the ministry’s good graces; and Tina’s sister, Queenie, a pink-clad ditzy blond who’s a legilimens (reads people’s thoughts) and is, in reality, anything but a ditzy blond. One of the perks of a magical movie about full-blown wizards is that the main characters incorporate wonderful magic and advanced skills naturally into their everyday life, unlike in the original series, where the audience only gets to see these spells in later books and movies as the main characters learn them. The Harry Potter series made a scarred orphan boy, trouble-making twins, a bookworm know-it-all, a poor youngest child with an inferiority complex, the “dumb fat kid,” the “looney” social misfit, and a half-giant animal fanatic into the heroes of one of the most popular series of all time. The heroes of Fantastic Beasts continue that tradition by showing why people should be appreciated for their differences and who they really are, not by stereotypes or mistruths. Whether you’re a social misfit animal lover (and a Hufflepuff, traditionally one of the most mocked houses at Hogwarts), an out-of-work auror who takes adorable awkwardness to another level, a ditzy blond who loves baking, or a single, overweight grunt worker without an ounce of magical talent, you have something valuable to offer. Original fans will also appreciate quite a few Harry Potter series “Easter eggs,” or references to Albus Dumbledore, Grindelwald, and other characters who are featured or named in the original series. 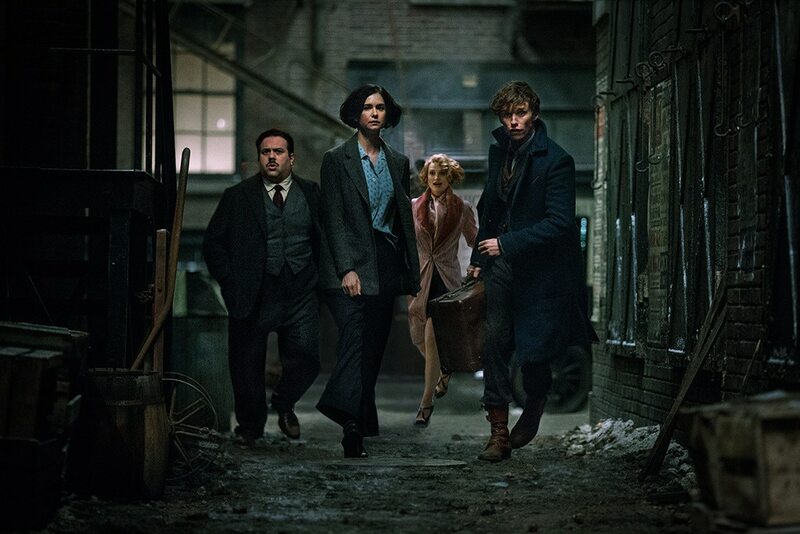 And let’s not forget the fantastic beasts themselves, brought to life with breath-taking visuals and jaw-dropping creativity from the mind of acclaimed author J.K. Rowling. If the dragons and hippogriffs from the original series were the trailer, this film is definitely the main event! All creatures great and small, from the kleptomaniac platypus-like Niffler to the living leaf with an attitude (a bowtruckle) and the majestic thunderbird fascinate and create the magical sense of wonder that enthralled fans of the first series. Actually, this is less something I didn’t like and more of a caution to fans of the original series. In the vein of the latter Harry Potter books and movies, the story balances the light-hearted humor and charming magic central to the series with deeper, darker and more mature themes and challenges. Woven into the story is a demonstration of the dangers of a character trying to suppress their magical abilities to fit in, implied instances of an abusive parent hitting a child with a belt (Tina intervened, which is how she lost her job as an auror), and a tense scene where the main characters are sentenced to death by a member of the ministry of magic and only escape with the help of one of Newt’s creatures. These mature elements, while present in the latter Harry Potter books (several instances with Umbridge come to mind), are central to the story in many ways and could be disturbing to small children. This is not a movie for kids under 10, and I recommend that you see if first with your child and talk about these issues. In Fantastic Beasts and Where to Find Them J.K. Rowling and her team have crafted a delightful and charming re-introduction into the wizarding world that stands on its own two feet. It showcases the quirky, engaging heroes, magical creatures, enthralling world-building, and the deeper themes of friendship, bravery, and kindness that are characteristic of the original series in a fresh, new way. I highly recommend this film to Harry Potter newbies and die-hard fans alike. This has the feel of a classic that will definitely be going on my birthday wish list! It’s most fun when it’s not paying too much attention to its plot. Nice review.